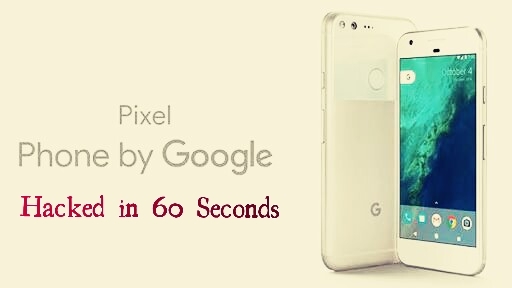 At Pwnfest, a hacking competition going on in Seoul, South Korea, a team of white hat hackers named Qihoo 360 have successfully hacked Google latest flagship Pixel, and that too in just 60seconds. Qihoo360 team exploited a zero-day vulnerability on Google Pixel that leverage Remote Code Execution on Pixel phone. Exploit launched in Google Play store with showing a webpage "Pwned By 360 Alpha Team" before opening chrome. This is not the first time that Google Pixel smartphone got pwned, earlier Qihoo 360 rival Keen Team of Tencent at the Mobile Pwn2Own event in Japan have also break it's security. In total hacking team received reward of $520,000 after demonstrating additional vulnerabilities in Microsoft Edge on Windows 10, and a decade-old exploit that inexplicably still works on Adobe Flash.